Please be forewarned. I’m going to go where no one probably has gone before or probably will attempt to go again. However, after reading statistics about gun deaths in the USA and how they are spun in order to gain gun control and negate the Second Amendment to the U.S. Constitution, I feel perhaps something’s just not quite cricket, so I’d like to know if readers think the same. Furthermore, if one Constitutional Amendment is negated, that sets the stage that all can be lost! Ever think of that? Do we want that? Recently a reader emailed me the Rense.com article “Gun Control Facts You’ll Never Hear.” Knowing how statistics are spun in general, I began to appreciate there’s an agenda for controlling the population’s perception and also what’s been called “problem-reaction-solution”—the apparent solution being a preprogrammed end result impacting special interests’ agendas, e.g., total gun control. There are 30,000 gun related deaths per year by firearms. That is not disputed. So technically, “gun violence” is not 30,000 annually, but drops to 5,100 (0.17 x 30,000). Still too many? 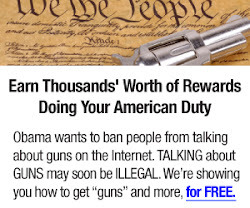 Well, first, how are those deaths spanned across the nation? So who are responsible for the majority of gun deaths? Suicides claim 65 percent; law enforcement 15 percent; accidental gun discharges 3 percent. That leaves 17 percent of gun deaths from criminal type activity or mentally ill persons with four large cities accounting for most of those criminal deaths: Chicago 9.4 percent; Baltimore 6.7 percent; Detroit 6.5 percent; and Washington, DC 2.3 percent. Interesting? However, there are no classifications for “false flag event”  and terrorism deaths, which really should become specific forensic categories, I think. Now, let’s take a look at deaths from vaccines! No correlation, you say. I beg to differ and here’s why. One type of death—gun—is targeted to be dealt with publicly, while the other—vaccine deaths—are totally disregarded and apparently considered ‘normal collateral damage’ necessary to protect ‘herd immunity’. What’s wrong with such mental perceptions? Innocent lives are impacted by both types of deaths! What happens when it’s your child? According to Page 5 of the HRSA Vaccine Payout Schedule , we see that 1,197 deaths from vaccines have been reported since October 1, 1988 to July 1, 2016. Granted, it’s not 30,000 per year but, if people are concerned about deaths perpetrated by others, shouldn’t there be more concern about vaccinees’ lives too? And yet, seemingly, there’s no one in HHS, CDC, FDA or federal bureaucrats doing anything to expose the problems of vaccines causing deaths or even the fraudulent science that goes on in those agencies, especially at the CDC . Something is tragically wrong! Not only do vaccines cause deaths, they also cause horrendous adverse health effects that can last a lifetime . Pages 8 and 9 of the HRSA Vaccine Payout Schedule  document the scope of vaccine health damages, which probably represents less than 5 to 10 percent of what’s reported by doctors, according to former FDA Commissioner David Kessler, MD . A point of reference—and rightfully so—is that “Black Lives Matter” regarding young black boys who receive vaccines. During interviews with African-American mothers about their vaccine-damaged children, you can begin to grasp the scope of vaccine damage, which sometimes can be a lifetime of suffering for the family, something possibly even more traumatic than experiencing a death. Very courageous mothers, who care for vaccine-damaged children, speak out here. Families have to pay the costs for vaccine adverse events healthcare in many, if not all, instances. 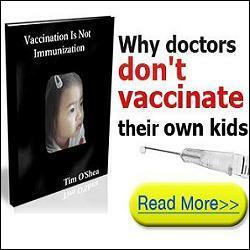 Furthermore, families are abandoned by the medical profession, which incorrectly mandates infants and children receive vaccinations or be dismissed from a healthcare facility’s practice if they question vaccine safety or refuse vaccinations. Isn’t a physician’s credo, “First, do no harm”? Can a vaccination hypodermic needle also be considered a lethal weapon? Consequently, we have to question deaths by gun and vaccine syringe—one illegal and the other definitely legal. How can a profession harm and/or kill  innocent children and still get away with it? So why aren’t people enraged about vaccine deaths like they are about guns? 11 Comments on "Death by Guns Contrasted Against Death by Vaccines"
The simple answer is Brainwashing. People outside the official party line are discredited and silenced. That’s an eye-opening breakdown of gun deaths. It should be the preamble to any meetings in favor of gun control legislation. And what I’ve never accepted about vaccines is they haven’t been proven to be effective for the most part; pharma doesn’t want to go “there” in any discussion of their product. For example when you dig down into the stats for the flu vaccine, formulating the annual concoction is a crap shoot because you don’t know what strain might be prevalent in a given year. Further in hindsight, most people don’t go to the doctor for the flu, so there isn’t any actionable feedback regarding what strain of flu people caught or a correlation between those taking flu shots and those abstaining. I’ve personally stopped getting the flu shot because through my experience I’ve gotten sicker in years when I had the shot than in years when I didn’t. One more point; I’ll never pay to see another film with Robert DeNiro after he cancelled “Vaxxed” from Tribeca. Empty suit indeed. Succinct and brilliant perspective, Catherine. How about the fact that, conservatively, the US medical system directly kills 225,000 people per year, year after year, translating to 2.25 million per decade. The numbers sickened, injured, maimed and debilitated by said system are FAR higher. Doctors are far more dangerous than police. Note that this does not even account for the mass death wrought by the suppression of cancer cures and the continued use of the cut, burn and poison model of treatment by the $100 billion a year cancer industry. How about “Death By Large Trucks”. How come Killery and Feinstein and Bloomberg aren’t writing legislation to confiscate large white trucks because of their massive killing potential ? Are they going to wait until it happens in the USA ? And they won’t even have to be bothered by people saying that owning large white trucks is a constitutional right ! Everyone knows that driving is only a privilege granted by the State ! Wholesale poisoning of humanity must end. People better start really pushing back because there are over 200 more vaccines on the block for the CDC to force onto the people. Look at the CDC’s Health People 2020 program for a preview of the complete tyranny coming our way. I speak as a mother of a vaccine injured child and as a vaccine injured adult. There is no more important sword to die than this one. I’m sure the medical profession kills as many, if not more, every year. Moms stop vaccinating you and your children. It is not a protection, vaccines destroy the immune system and cause all sorts of disease. According to the FDA adverse reaction web site, the FDA approved dope used in an FDA approved manner kill over 100,000 pe0ple per year. Many more are crippled. Other web sites show that hospital acquired infections also cripple and kill about a hundred thousand. The hospital acquired infections also spread out of hospitals to cripple and kill even more. Other web sites puts allopathic errors causing death at another hundred thousand but that is an extreme underreport. More are only crippled. A hundred thousand here and a hundred thousand there, keep adding and you end up with some big numbers. And we should ignore the open killing and crippling listed above and go after the non-therapeutic vaccines that damage millions of children with peanut allergies, asthma, autism, reduced fertility, and dozens of other issues? Permanently disabled and vegetables are not dead. Consider that the death rate is kept low. P.S. The polysorbate 80 in the non-therapeutic HPV vaccines is working. ? Hurray ? Teen pregnancies are already down and as adults, fertility will not return.